There are 39 GPIO pins on Bluno M3 which are compatible with Arduino I/O pins. int led = 13;  // Pin 13 has an LED connected on most Arduino boards. 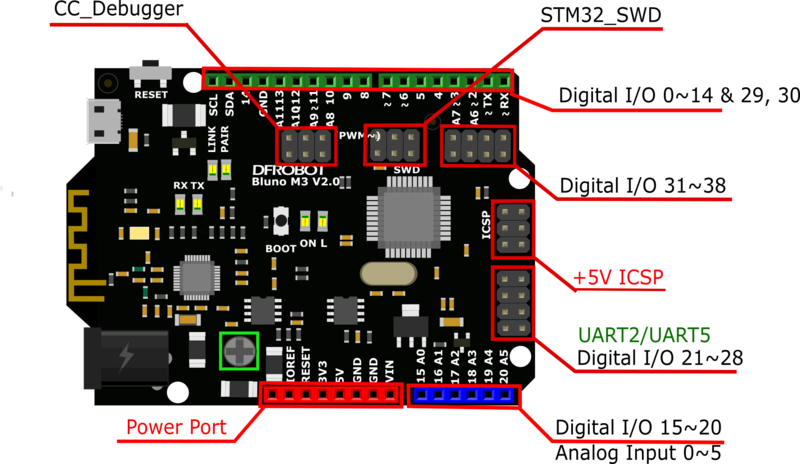 USART1 connects to the on-board RX1/TX1 pins. Bluetooth also uses the same USART. 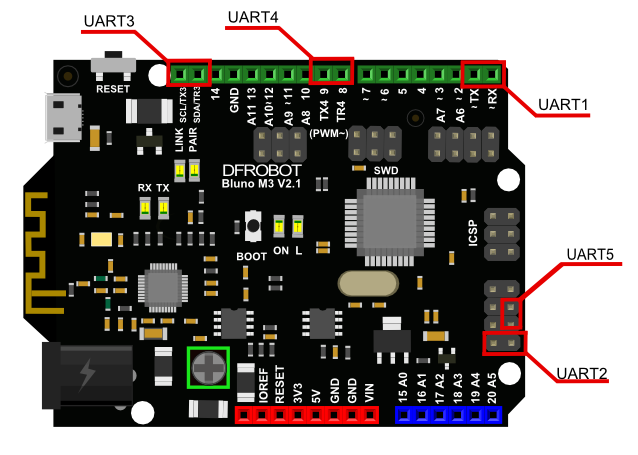 Bluno M3's USART is compatible with Arduino's basic serial communication library. Refer to Arduino's official website for more details. The following pins are PWM compatible: 0, 1, 2, 3, 6, 7, 11, 12, 21, 22, 27, 28, 35, 36, 37, 38. 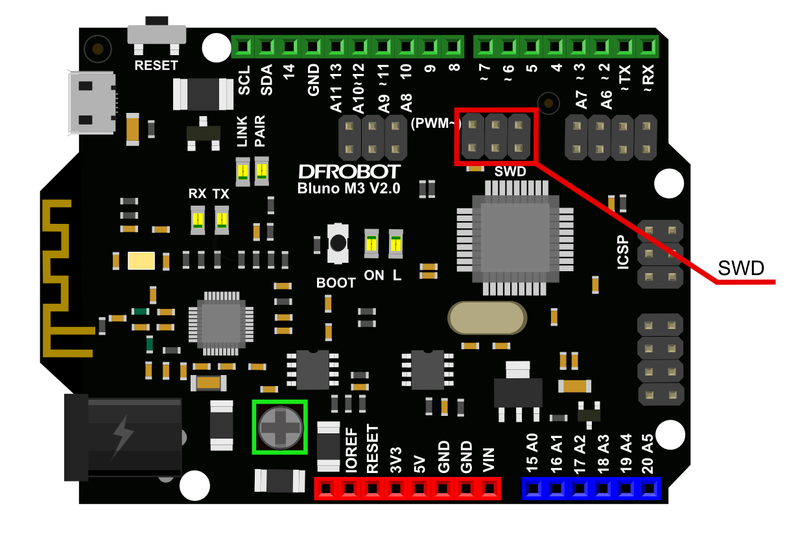 Every PWM pin is connected with an internal timer, meaning timer configuration is not necessary. Mode 1: 1.Commandvoid`` ``analogWrite(uint32_t`` ``ulPin,`` ``uint32_t`` ``ulValue): This function will output a 1 KHz square wave. Its duty cycle is decided by "ulValue". In this mode, the PWM resolution is only 8-bits which will limit PWM output capacity. //initailizing the pwmPin,  setting the period of PWM as 2000Hz and it's mode as 8'bit. // output the duty of the PWM , one is 39% based on the formula privided above. ulPin: Same pin to the adcMode one. Returns: ADC mode converted result. All Bluno M3 digital I/O pins (D0~D38) can be used as external interrupt pins. //define the extern interrupt pin. 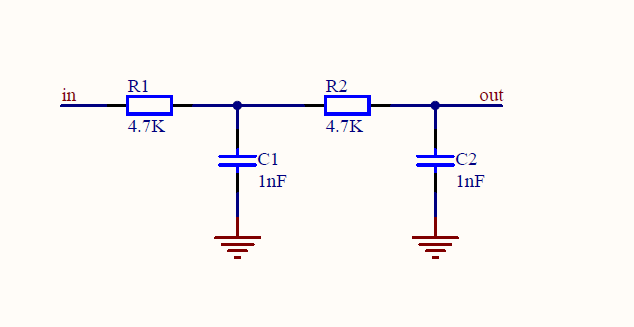 I2C protocol (Inter-Integrated Circuit), (refer to I2C wikipedia for more information). Bluno M3 has a I2C interface. The default I2C interface is SDA (30) and SCL(29). It can also be free assigned. SPI (Serial Peripheral Interface) bus is a synchronous serial communication interface specification used for short distance communication, primarily in embedded systems. Refer to SPI wikipedia for more information. There are 2 SPI interfaces on Bluno M3: SPI and SPI1. Bluno M3 implements a software timer function via a software library. It will meet some user timing requirements on some special occasions. The timer function is encapsulated in the timer class, you only need to define and initialize the object and it will work. The timer supports single and periodic timing interrupt processing modes. In single timing interrupt processing mode, the function only runs once. In periodic mode, it will be executed periodically. Note: One timer object can be switched between two modes. Timer class also supports the callback function. ms: timing time, unit: ms.
t_period: The timer could be interrupted periodically, and the callback function could be invoked periodically. User could invoke this Timer destructor to destroy this function manually. data: The data pointer which callback function should deal with. Description: Return the current Timer remaining time. Parameter: None Returns: Return the current Timer remaining time. ttFunc: Function pointer or the function name. //instantiate a object of the class Timer with the hook function myfunc,and speicify the mode t_period. timer2.change_type(t_single);  // changing the mode for the timer2 from t_period to t_single. 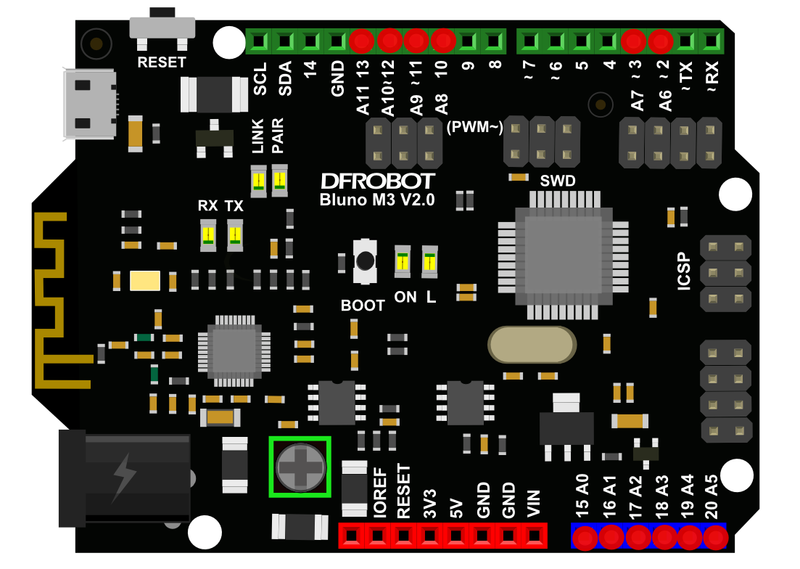 Bluno M3 is microcontroller based on stm32f103 ARM processor. The internal flash is 512k. You could store and run the program on it, or store the user data. There are 256 page in flash, and each page is 2KB. Generally, it requires to erase data first before writing. And it only could write one page at one time. So it is very difficult to make a flash underlying operations on Bluno M3. So we made a special Flash class for Bluno M3. It divides M3 Flash into two major area: code area and user data area. Code area is place where the program in, it is not visible to the user, and address range is from 0x00000000~0x0807B000. On the other hand, the user data area is available for the client. Read, write or any other operation are allow be allowed in this space. Its address range is from 0x0807B000 ~ 0x08080000. The client could have 20KB storage space even there is no external storage chip. And the data-write function has wiping feature itself. You don't need to consider the flash paging problem anymore, because it also has been integrated in data-write function. Page_Address: Page start address. Computational formula: Page_Address = 0x0807B000 + i * 2048; i = page number，i = (0,1,2,...,19). NumByteToWrite: The number of reading byte. NumByteToWrite: The number of the written bytes. //write the value 68 to the address 0x08005010 in flash. We construct a Servo class, to make Bluno M3 have same servo interface with Arduino UNO. If the client need a servo on Bluno M3, he only needs use attach() function. Bluno M3 is compatible with W5200 Ethernet shield. Here is a sample for how to use it on Bluno M3. #define SAMPLE_FREQ 282352    // the sample frequence of the pwm that is to be filtered by the attached low pass filter. RCC_Configuration();  //configure the RCC clock of related modules i.e. GPIOC,TIM8 etc. GPIO_Configuration();  //configure the GPIO pin for TIM8 as alternate function. DMA_Configuration();   //configure DMA channel for TIM8 the indicated out compare channel. TIM_TimeBaseStructure.TIM_Prescaler = 1 - 1; // set the prescaler of TIM8 as 0,so the input clock of TIM8 is 72MHz. TIM_OCInitStructure.TIM_Pulse = 0;        // this parameter is very important,since the sine wave generating depends on changing the Pulse value which will be assined to CCRx. // of course the example is based on the DMA way, with the value of the CCRx register is updated by  TIM8_CCR1_Address,so user can ignore the variable. TIM_DMACmd(TIM8, TIM_DMA_CC1, ENABLE);    // enable the TIM8's out compare 1 chanle addressed by DMA. STM32F103RET6 supports SWD online simulation debugging, it needs 4 pins: GND, RST, SWDIO, SWDCLK. The upload speed can reach 10M/s. 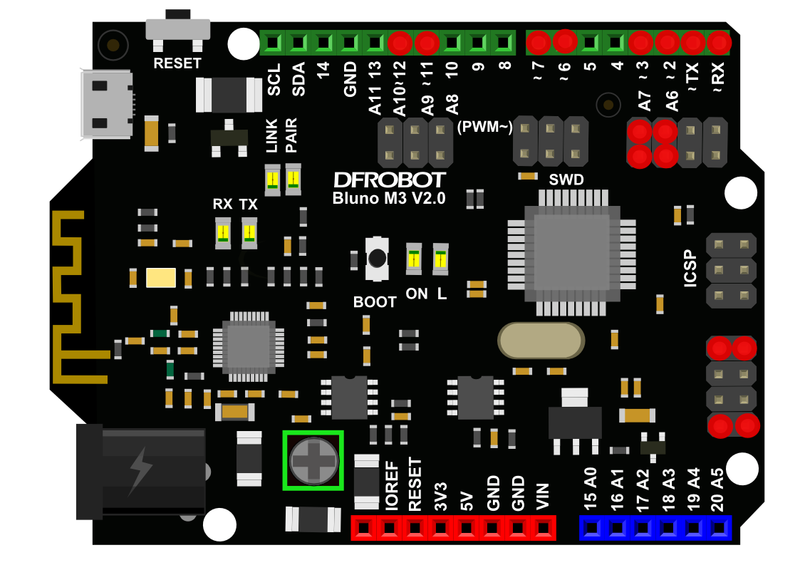 Bluno M3 retains SWD port for STM32 standard development. 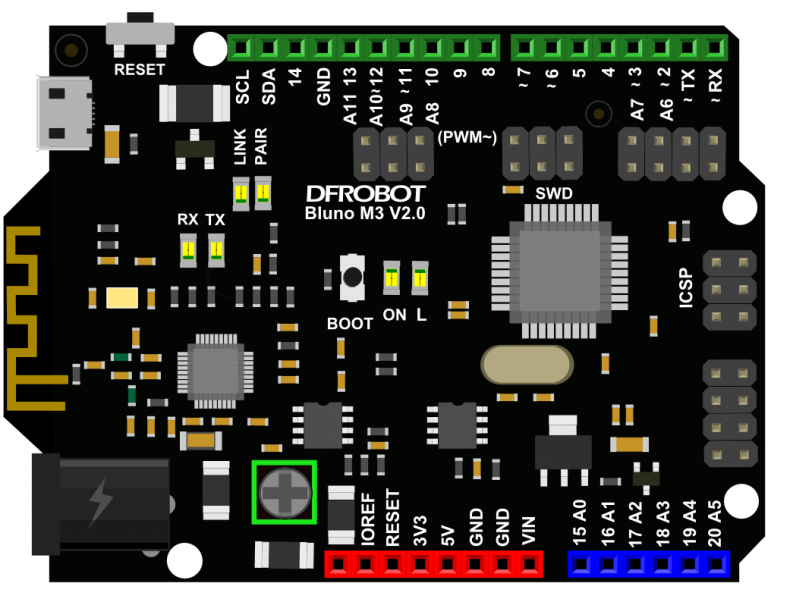 It is easy to monitor STM32 internal register parameters and the status of program running via the SWD port. If you need this function, you will need an emulator. Compatible emulators are ST-link and J-Link, and their corresponding IDEs are IAR and Keil4. Arduino IDE doesn't support SWD online debugging, so you need to change to IAR. Related instructions are well documented online.